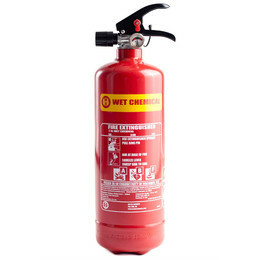 Wet chemical fire extinguishers are a new innovation in the fire industry. Cooking appliances are the biggest single source of accidental fire in the workplace, with this in mind the wet chemical solution, the most effective means of extinguishing fires involving deep fat friers. The solution cools and emulsifies when applied to burning fats and oils. This seals the surface and prevents re-ignition of the fire. 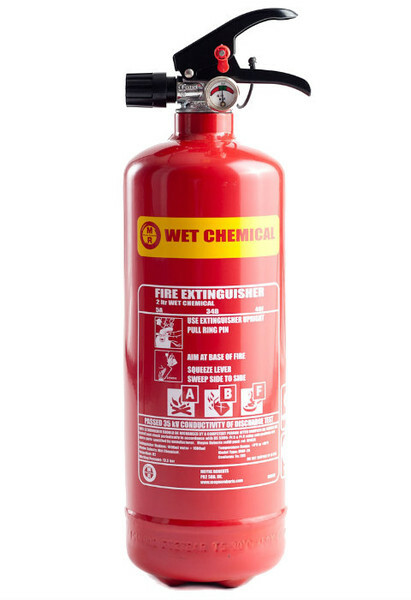 Wet chemical extinguishers also have A class fire rating.